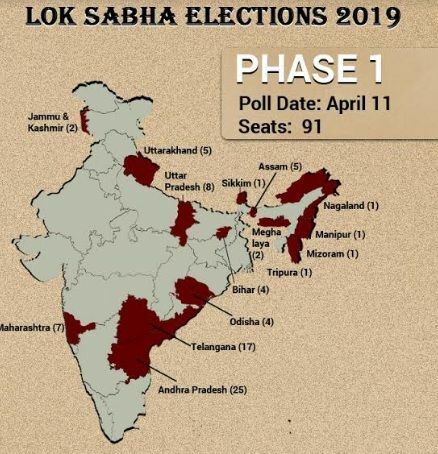 A total of 443 candidates are in fray for all 17 Lok Sabha seats in the state, going to polls on April 11. 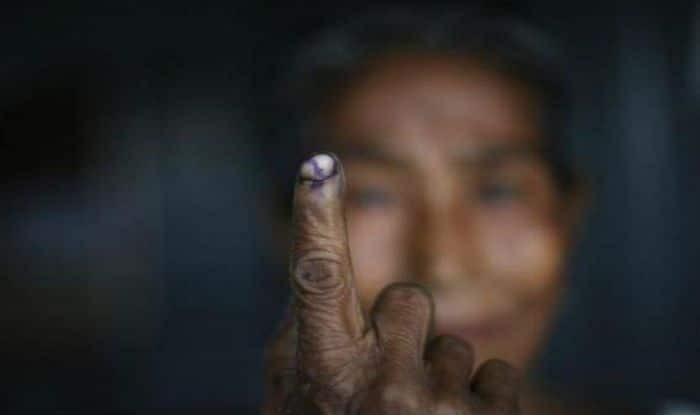 New Delhi: All 17 Lok Sabha seats in Telangana will go to polls in single phase on April 11. The counting of votes will be held on May 23. The state will witness a tough fight between the Telangana Rashtra Samithi (TRS), Congress BJP and Asaduddin Owaisi-led BJP. Medak: Telangana Chief Minister and TRS chief K Chandrasekhar Rao had won the Lok Sabha constituency in 2014. He had defeated Congress’ Dr P Shravan Kumar Reddy. However, Rao had quit the Medak LS seat after his party won the Assembly election in June that year. The seat is currently held by Kotha Prabhakar Reddy. Reddy won the Medak Lok Sabha seat by-election by a margin of 3,61,277 votes. The TRS candidate had defeated Congress’ V Sunitha Laxma Reddy and BJP’s T Jayaprakash Reddy . For 2019, Congress has fielded Gali Anil Kumar. TRS has retained Kotha Prabhakar Reddy. Malkajgiri: In 2014 Lok Sabha elections Telugu Desam Party’s Malla Reddy had defeated TRS candidate Hanumanth Rao Mynampally by more than 28,000 votes. For 2019, Congress has fielded A Ravanth Reddy. He will take on first-time contender and TRS candidate Marri Rajashekar Reddy, the son-in-law of Ch Malla Reddy, the Telangana minister for Women and Child Welfare. Secunderabad: The seat is currently held by the BJP’s Bandaru Dattatreya. In 2014 polls, Dattatreya had defeated Congress’ Anjan Kumar Yadav by a margin of 254,735 votes. daru Dattatreya and TRS has fielded Talasani Sai Kiran Yadav from Secunderabad LS constituency. For 2019, Congress has fielded Anjan Kumar Yadav, BJP has fielded sitting MP Banchief Asaduddin Owaisi. In 2014 polls, he had defeated BJP’s Dr Bhagavanth Rao by more than two lakh votes. On April 11, AIMIM Asaduddin Owaisi will be re-contesting from the prestigious seat. He will take on Telangana Rashtra Samithi candidate Puste Srikanth. Chevella: In 2014, Chevella parliamentary constituency was won by TRS candidate Konda Vishweshwar Reddy. He had defeated Congress’ Patlolla Kartik Reddy by a margin of 73,023 votes. For 2019, TRS has fielded G Ranjith Reddy, Congress has nominated Konda Vishweshwar Reddy and BJP has declared B Janardhan Reddy as its candidate from Chevella LS seat. Mahabubabad: In 2014 polls, TRS candidate Prof Seetaram Naik had defeated the then incumbent MP Balram Naik with a majority of 34,992 votes. For 2019, TRS has fielded Maloth Kavitha and Congress has fielded Porika Balram Naik.